Usually a major artist doesn't willingly revert to playing small venues. That is unless there's a decline in demand for tickets and they're avoiding signing up for the county fair or rural casino circuit. In contrast to this demise, Macklemore & Ryan Lewis' career is soaring. That alone makes this intimate tour by choice nothing shy of epic. 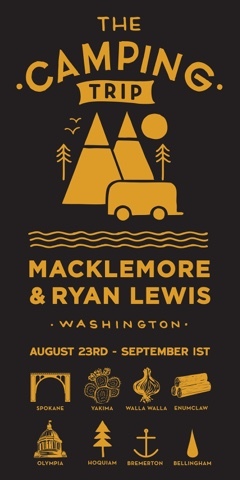 “The Camping Trip" is an eight stop tour by Macklemore and Ryan Lewis of smaller venues in Washington state. 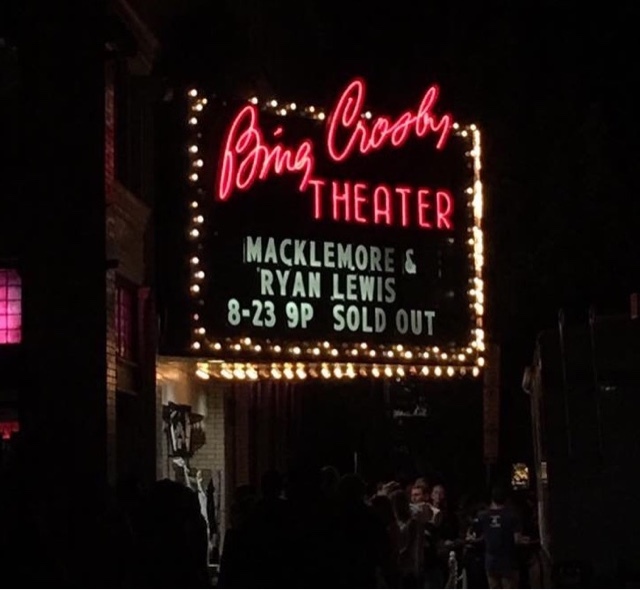 Not surprisingly, after Macklemore announced the mini tour on Social Media, the affordable $20 tickets were sold out within a couple hours. The first stop was last night in Ryan Lewis' hometown of Spokane, WA. I was lucky enough to score one of the 750 available tickets. Fans lined up in the morning for the festival seated show. Macklemore and Ryan Lewis rewarded their dedication by signing autographs for the first 50 in line. Like the tour, the Spokane merchandise also sold out in a blink. 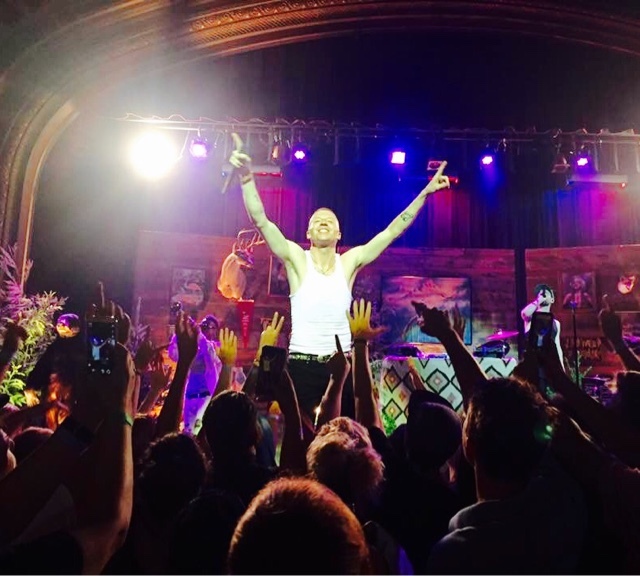 Lewis' hometown friends and family were in attendance as was Macklemore's father which added to the intimacy of this tour. A city council member presented Lewis, the former Ferris High School graduate with a key to the city. The high energy show didn't disappoint. Hits like "Thrift Shop", "Can't Hold Us", and "Same Love" had the audience on their feet the entire show. The crowd went wild for the duo's "Downtown" partly due to that the music video being filmed primarily in Spokane last summer. It was obvious that Macklemore, Lewis and company we're into this gig as much as the crowd as the show went on until well after midnight. The larger than life talent preforming in the tiny Bing Crosby Theater made it feel like the artists were playing in your living room. 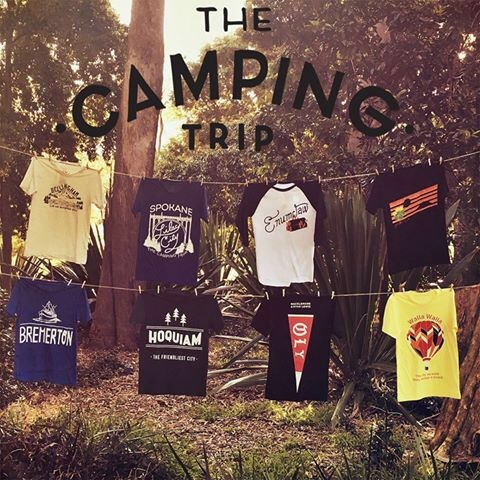 The retro camping decor added to this low key personal vibe. Read more here: http://www.thenewstribune.com/entertainment/music-news-reviews/article78893002.html#stoUsually a major act doesn't willingly revert to playing small venues unless the demand for tickets declines and its the next stop before playing the county fair. 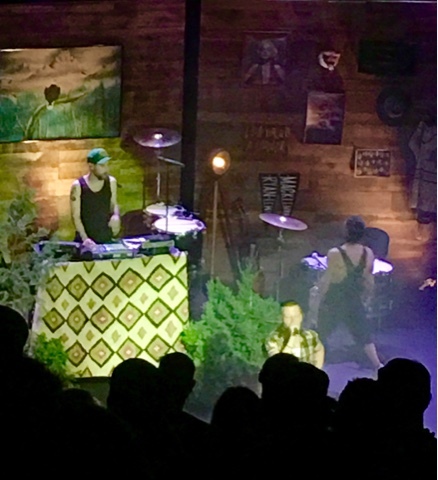 That's what makes Macklemore & Ryan Lewis' Camping Trip, an eight stop tour of smaller venues in Washington State epiMacklemore broke the news of the micro tour on his Instagram account. Not surprisingly the affordable $20 tickets SOLD OUT before noon. Good music charts. Great music withstands time. Pre-recorded music only suffices when it can't be experienced in person. I'm convinced that nothing compares to LIVE music. Ideally this once-in-lifetime music event has you living in a moment you don't want to end. Concerts are where the magic happens and that moment can repeated but never exactly duplicated. The experience creates an imprint on our soul and a memory we retell so it doesn't fade. Yes, when it comes to music, make mine LIVE!